LONDON--(Marketwire - February 10, 2010) - The Swiss based commodity trading house, Aurora has announced today the start of civil works on a 635,000 m3 oil products storage terminal at the Port of Fujairah, United Arab Emirates, following the signing of definitive agreements with the Municipality of Fujairah and the Port of Fujairah. 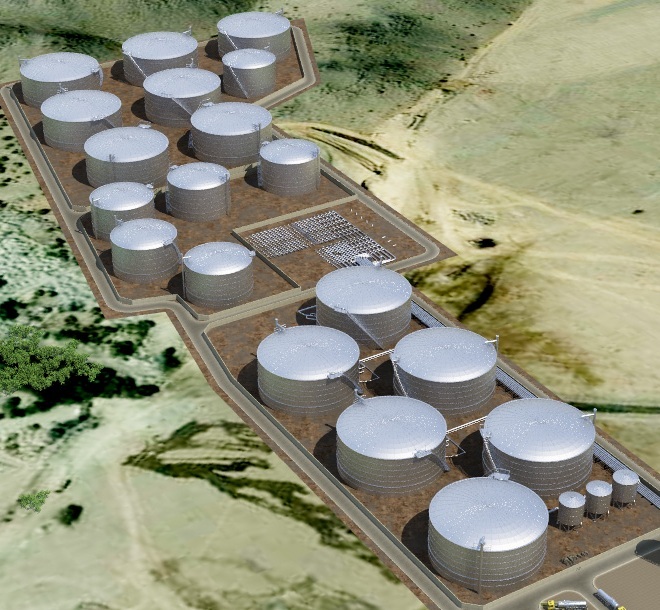 The terminal will be used for storage, blending, and resupply of fuel oils, gasolines, naphthas and middle distillates (diesel, gasoil & jet kerosene). Aurora will be an independent terminal operator offering storage capacity to third parties. Aurora's Trading Director Ammar Kutait remarked "There is a lot of demand for storage in the region and with our new state of the art terminal and flexible berthing facilities in the Port we can offer our customers a first rate service in this growth market." The Port of Fujairah is commissioning this year a new multi berth facility for the receipt and loading of oil tankers. Aurora will be one of the first to make use of this new vessel handling capacity in the growing energy hub of Fujairah. Commenting on this major development in the region, Mr. Kutait said: "We are delighted to have commenced the initial works. We expect to have the first phase of the terminal operational in early 2011". Aurora Progress S.A. is a privately owned Swiss based company with the trade, supply, transport and storage of refined petroleum products as its core activities. The Group's roots go back to 1978 when Petrotex S.A. was first established; after acquiring Petrotex S.A and its subsidiaries, Aurora Progress continued to expand becoming a global trading company. Today the Group's main trading arm Aurora Petroleum Trading & Supply S.A. is involved in the trading & supplying of most petroleum products and supplying bunkers in ports around the world.